THE IO PSYCH SHIRT THAT STARTED IT ALL!!! ...ok, not really, but its a great shirt that represents our field and work! We have been asked for the last year or so about the shirts that our principals and consulting team wear. People want to know how they can get one or buy one. We have been reluctant to sell them as they were primarily for giveaways at speaking engagements and for our clients. Just click "BUY ONE NOW" to add to your shopping cart and checkout using PayPal or Credit Card! With SIOP '18 in Chicago being over, we now have shirts that were similar to our SIOP '18 design and original company t-shirts. These exceptionally comfortable, slim fit shirts will run us about $20 each with the PayPal processing fee and shipping, so thats what we are asking. 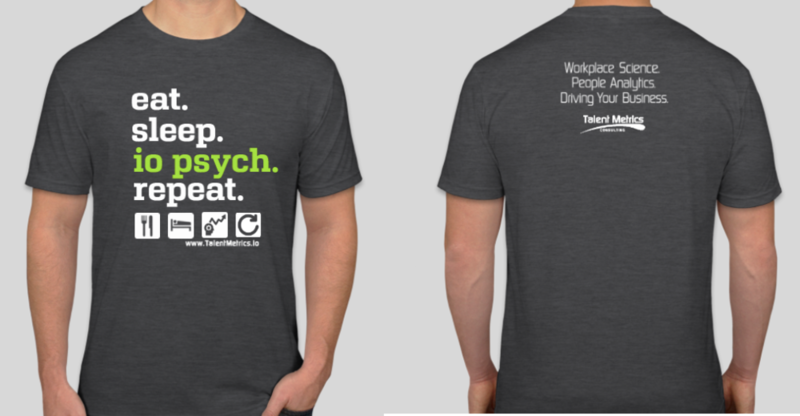 You get shirts and we get to make an I-O Psych fashiom statement! 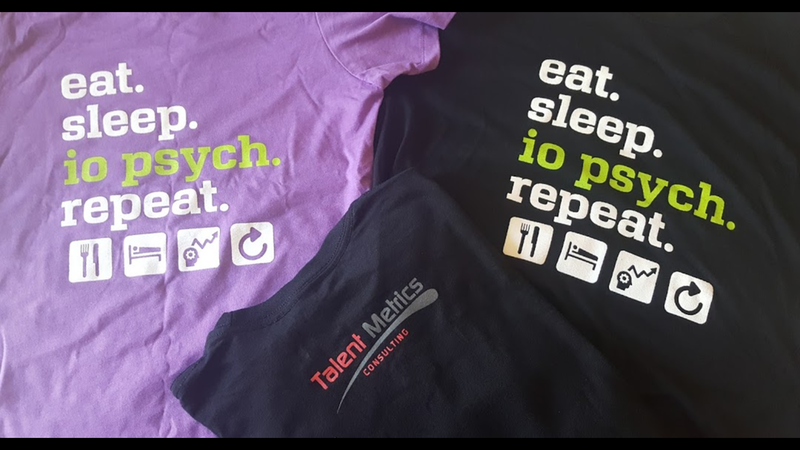 Anyone who posts a pic wearing the shirt @TalentMetricsLLC on Twitter will be entered into our monthly contest to win a Talent Metrics swag box and even a FREE webinar/live presentation for your company or academic institution.